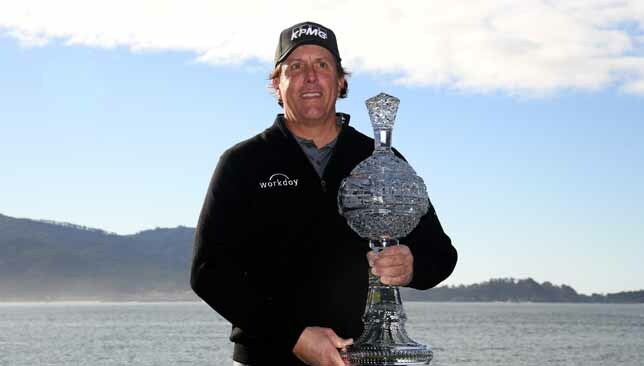 Phil Mickelson wrapped up his fifth victory at the AT&T Pebble Beach Pro-Am on Monday after play was extended into an additional day. The 48-year-old five-time major winner finished on 19 under after returning to the California course play the closing two holes of his final round. Third-round leader Paul Casey finished second on 16 under with Mickelson’s fellow American Scott Stallings a shot further back. Mickelson, who had also led by three when play was suspended due to bad light on Sunday, finished with a birdie at the last to sign for a closing seven-under 65. Casey, who had been three ahead after 54 holes, also birdied the last to put some shine on an otherwise frustrating one-under 71. Mickelson’s win equalled Mark O’Meara’s record number of victories in the tournament and saw him become only the second man after Tiger Woods to surpass 90million US dollars (£70million) in career earnings. Mickelson, whose victory was also his 44th on the PGA Tour, told reporters: “This is a special place to win at. “I have so many incredible memories and recollections here over the years and to be able to add to them is something special. Former world number one Jason Day finished in a tie for fourth on 13 under with Kim Si-woo. Josh Hill is the youngest player to secure his card through Qualifying School. 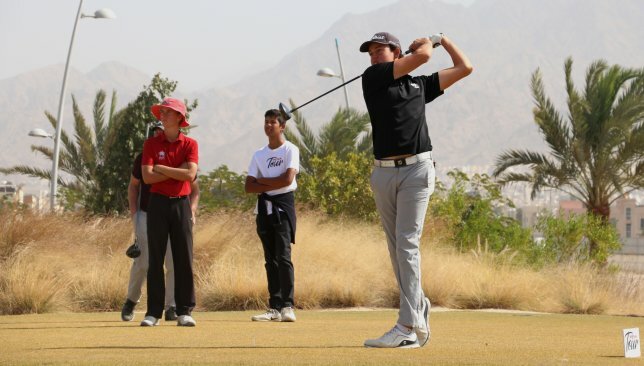 After creating history on the MENA Tour when he became the youngest player to secure his card through Qualifying School, Dubai-based Josh Hill has now set his sights on further glory when the season starts with the first tournament at Ayla Golf Club in Aqaba, Jordan, from Saturday. The 14-year-old Hill, who was a runaway winner of the 2017 Emirates Golf Federation Men’s Order of Merit, finished tied 27th at three-over 219 in the 54-hole B Stage, from which the top 34 players qualified at five-over 221. Hill’s effort is even more remarkable because he had a nightmarish start with an eight-over 80 in tough playing conditions on day one. No other player who shot worse than 77 on the opening day could qualify. He then added a three-under 69 and 70 in the final two rounds on the par-72 Greg Norman-designed golf course. When told that he was the youngest ever to secure a full card on the MENA Tour, Hill was taken by surprise and said: “I did not know that. That’s pretty cool. Hill, who also won the European Under-16 Faldo Series title and is coached by Joe Marshall at the Claude Harmon III Performance Institute in Dubai Sports City, said he would cherish the experience of playing a Qualifying School so early in his career and feels the teaching will give him a definite advantage when he plays the first tournament, Journey to Jordan 1. “I did feel a bit of pressure,” said Hill. “I wanted to guarantee that I had a card for myself so that I can play all nine or 10 events that I want to play this season. So, I did feel a bit of pressure…not much, not like what the pros must have felt. Hill has set himself some lofty goals for the season. “My expectations are to top the Amateur Order of Merit and get at least one top-five finish. I want to win a lot of world amateur golf ranking points and compete against the top players in the region,” revealed Hill, who is currently ranked 1,753 in the amateur world rankings. Ayla Golf Club is the first championship-size green golf course in Jordan and opened to public play in September 2016. The condition and its scenic setting adjacent to the Red Sea and at the foothills of the Shara Mountains have wowed the critics and golf fans ever since. The club will host three events of the 2019 season’s Journey to Jordan, including the season-ending Tour Championship. The MENA Tour is returning to the world schedule after a year of restructuring and will feature 10 tournaments in 2019. It will continue to provide official world golf ranking points, thus making it a perfect pathway for ambitious young professionals to the bigger tours, and for the players from the region to qualify for the 2020 Olympic Games in Tokyo. 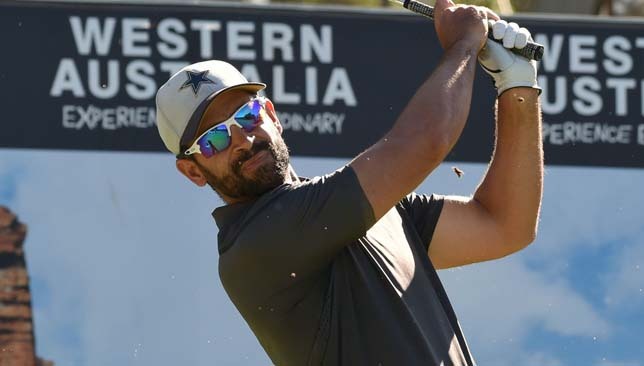 Australia’s James Nitties equalled the world record by making nine consecutive birdies on a day of low scoring in the ISPS Handa Vic Open. The 36-year-old’s incredible run matches the feat accomplished by former Open champion Mark Calcavecchia in the 2009 Canadian Open and followed a double bogey on the 14th hole of the Beach course at 13th Beach Golf Club, his fifth hole of the day. Austria’s Bernd Wiesberger made nine birdies in a row at the 2017 Maybank Championship, but with preferred lies in play on that occasion Nitties’ run of gains made him the first player to officially do it on the European Tour. “I had a good chance for that 10th birdie but I didn’t want to break it,” Nitties joked. “It’s such a longstanding record, I wouldn’t do that to Mark, so it’s good to hold it with him. “I’m pumped. I don’t hold any other world records that I know of, so to be a part of one is pretty cool. I definitely have the world record for best bounce-back stat because I holed the nine birdies and I preceded it with a double-bogey. An eight-under-par 64 left Nitties in a six-way tie for second alongside Jason Scrivener, James Anstiss, Callum Shinkwin, Kurt Kitayama and Hugo Leon, two shots behind leader Nick Flanagan, who had eight birdies and two eagles in a 62 on the Creek Course. The tournament is co-sanctioned by the European Tour and LPGA and features men and women playing on the same courses at the same time, for equal prize money. In the women’s event, England’s Felicity Johnson carded an eight-under-par 65 to claim a two-shot lead over America’s Kim Kaufman, Canada’s Anne-Catherine Tanguay and Australia’s Su Oh. Women’s British Open champion Georgia Hall is five shots off the lead after a 70, with Solheim Cup captain Catriona Matthew carding a 72 and Charley Hull returning a level-par 73.